The UC Irvine Republicans have been suspended for an entire year after they informed the administration of their plans to schedule another event on campus with Breitbart senior editor Milo Yiannopoulos. Nearly a month after their initial event with Milo, entitled “Social Justice is Cancer,” the College Republicans were asked to attend a debriefing with the Director of Student Life & Leadership, Darlene Esparza, and Associate Dean of Students, Sherwynn Umali, to discuss the planning process of the event. During the meeting, College Republican President Ariana Rowlands raised the possibility of Milo’s return to campus. Just four hours after the meeting, a UCI administrator sent the group an email to inform them they had suspended the club for an entire year. 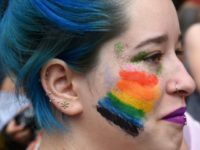 Their justification for the ban was the group’s alleged failure to provide a certificate of insurance for the private security hired for the event to protect Milo. It means the group can no longer hold meetings, reserve rooms, plan events, or function as a club on campus in any capacity. However, the need for a certificate of insurance appears to be an inconsistent requirement, as the group previously hosted conservative pundit David Horowtiz, who also required private security, but the group were never asked to provide an insurance certificate, and were not penalised for not doing so. Furthermore, according to Rowlands, the administration claims that that Robert Petrosyan, Chairman Emeritus of the College Republicans, and the person handling administrative details for the first Milo event, received three warnings to provide a certificate prior to the night of the event. Rowlands says the administration have not been able to provide documentation of any of these reminders. Furthermore, Petrosyan says he was only informed of the requirement on a single occasion, which happened to be just one day before the event. Prior to the first Milo event on campus, UCI had already attempted to make life difficult for the College Republicans. They attempted to impose a additional $1,000 fee for hosting the event, making the false claim that the College Republicans were hosting the event with a non-UCI organization. The charge was eventually removed after being contested. 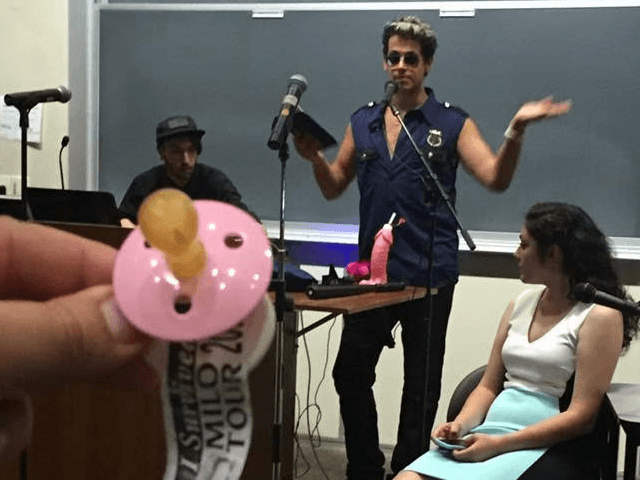 The group attracted positive coverage from conservative media (including Breitbart) for their humour after they decided to distribute baby pacifiers to campus liberals planning a “safe space” before the first Milo event. The event itself was also widely covered across the media. But it seems that the administration is determined to make life difficult for conservatives on campus to engage in effective, headline-making activism. Strangely, UC Irvine have decided to enact this draconian punishment against the College Republicans. Breitbart has contacted Darlene Esparza and Sherwynn Umali for a comment, but have yet to receive a response.